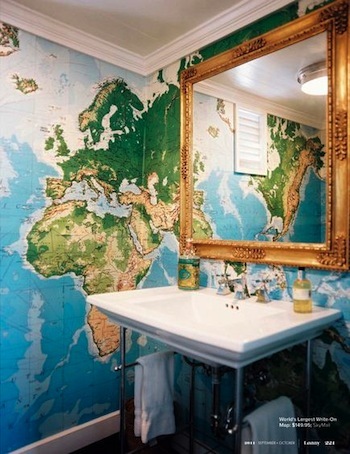 Choosing maps with subtler colors greatly changes the impact in a room. 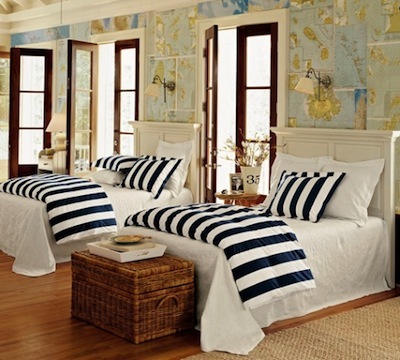 I love the blue, white and wood combination in this boy's room. The outline map gives great impact on the wall without being overbearing. 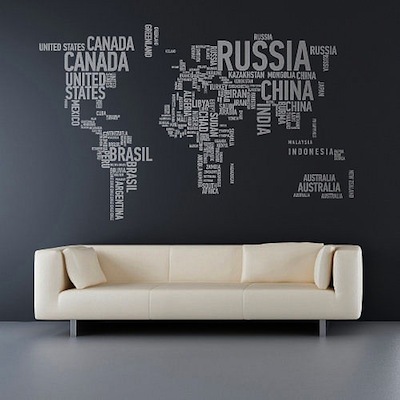 The following example is barely a map at all but more a typography project. 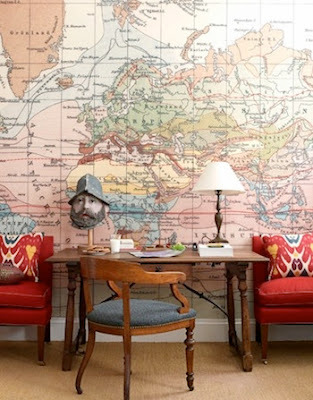 Works for me because I love both typography and maps! 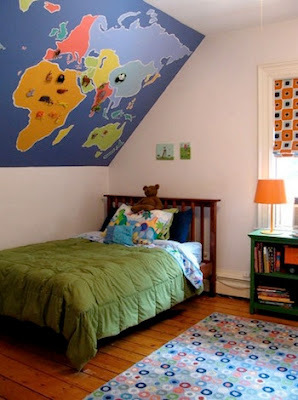 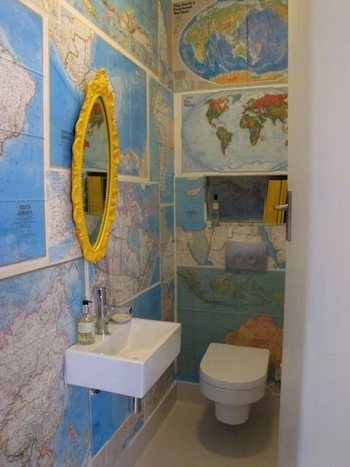 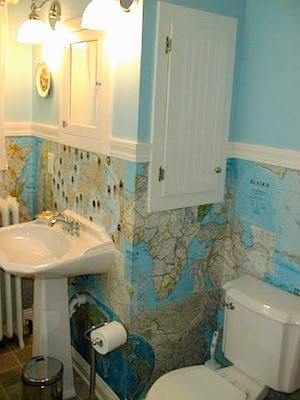 There are so many options for using maps with children environments. 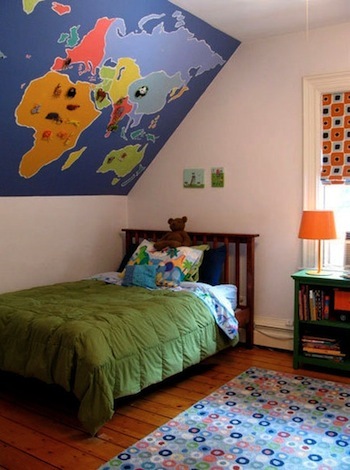 This one is clearly used as a teaching tool as well as a decorative addition.